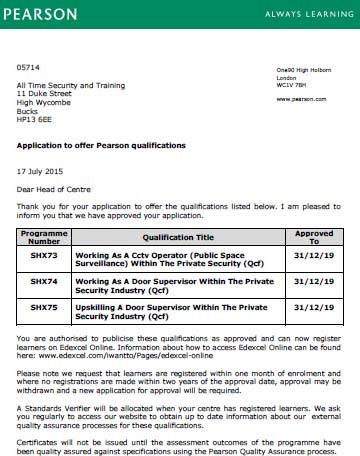 We have met the requirements of the Security Industry Authority Approved Contractor Scheme for Security Guarding, Key Holding, Door Supervision, Close Protection and CCTV Public Surveillance. 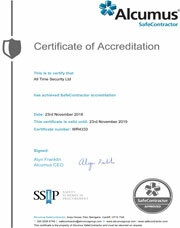 We are one the very few companies in the country that is approved in 5 sectors and are the only one in this area. 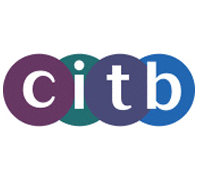 We know how important good quality of service is. 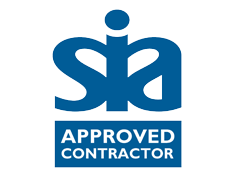 Our aim is to provide a customer focused service that protect the integrity of the sites we are securing, while enhancing the professional image of our customers. 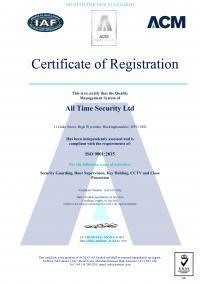 ATS is also accredited to ISO 9001 for the provision of security, which means that we are audited twice a year by the British Standards institution. 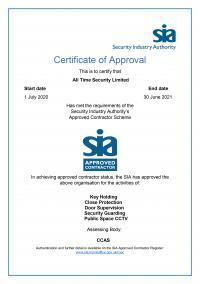 All Time Security is also safe contractor for the security services . 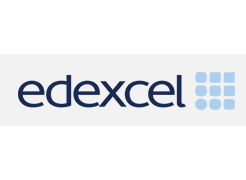 All Time Security is an approved Edexcel training centre for various qualifcations. 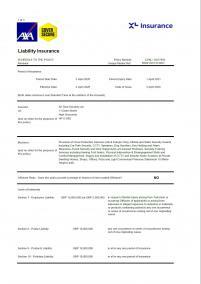 Areas such as the Security industry, Healthy and Safety and Personal License. 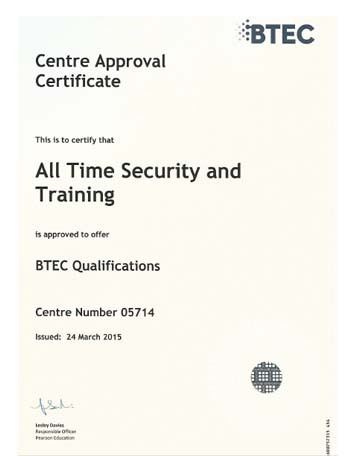 All Time Security has been approved for CCTV Servielance and Door Supervision and upskilling in Door Supervision.